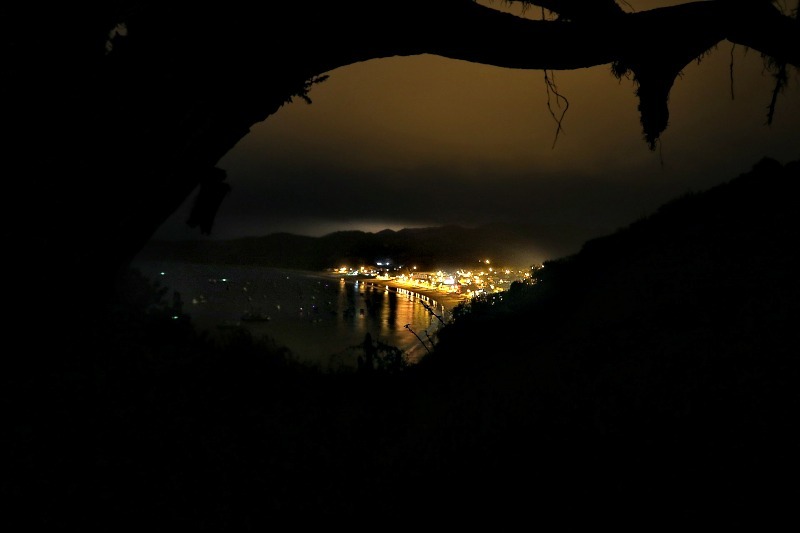 Salango Ecuador is a cute fishing village located in its own cove on the central Pacific coast. It's probably a good representation of what next door neighbor Puerto Lopez was like before the influx of tourism. Evening in Salango. You can see the fishing boats dotting the bay. 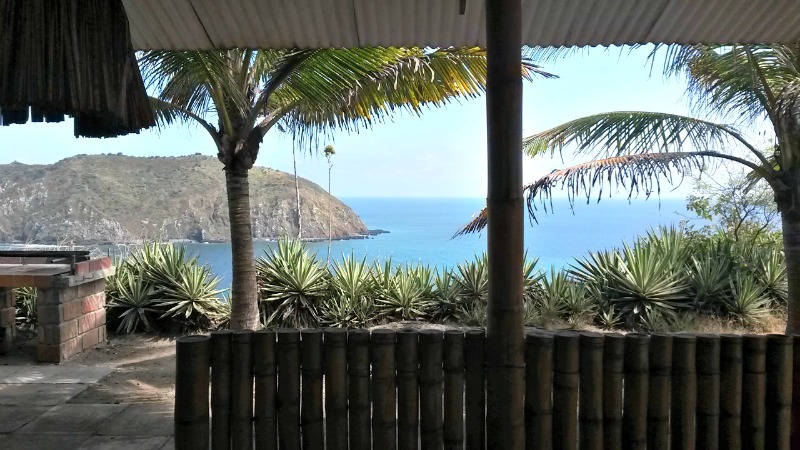 Salango is a great place to relax and enjoy amazing views of the ocean. 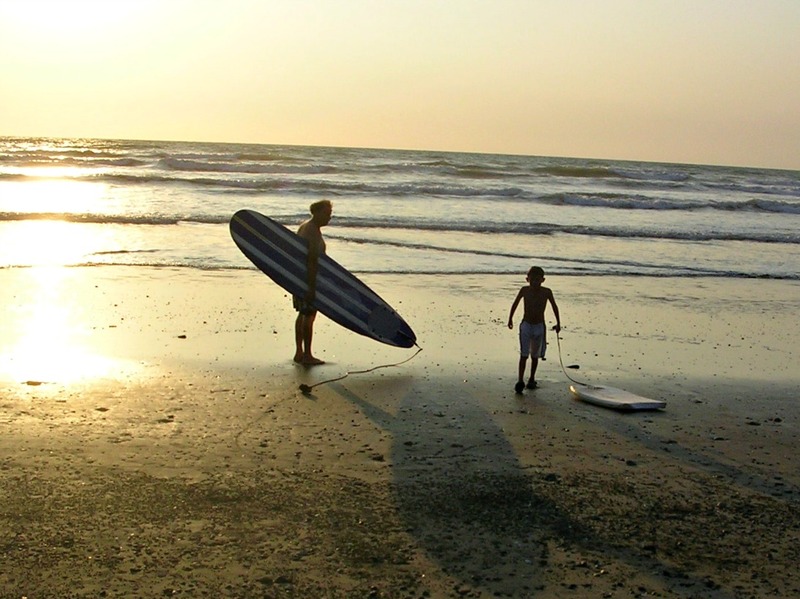 Plus, touristy Puerto Lopez is just a few minutes up the road. A small straight of ocean separates Salango from Isla Salango. The island emerges straight up out of the ocean and is a good alternative to Isla de la Plata (a.k.a. Poor Man's Galapagos) for those who are short on time or uncomfortable with an hour-long ocean journey. 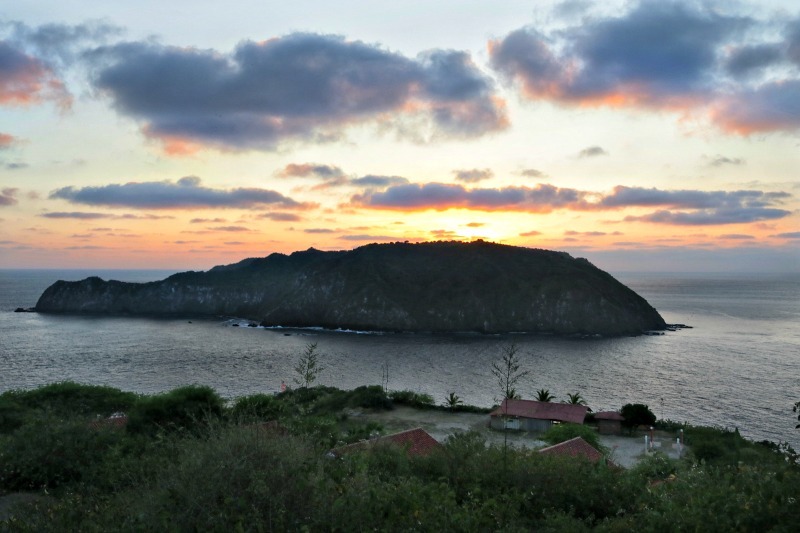 The steep slopes of the island make it difficult to access, so there are no hiking trails. However, if you are a serious climber, talk to the local guides. We were told they can arrange trips to climb to the top. There is a small beach with beautiful white sand. Nearby is a reef where you can snorkel and see a variety of brightly colored fish. There are many of the same birds and animals as found on Isla de la Plata. 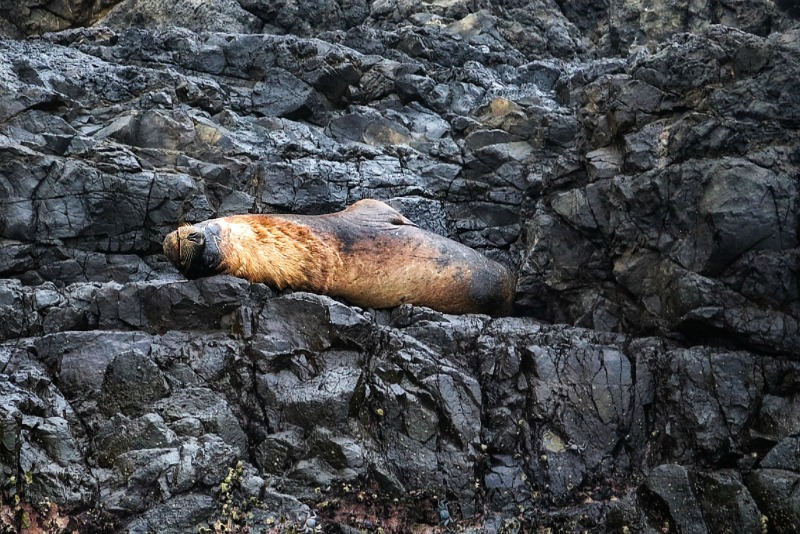 The day we went, we saw a sea lion really close to our boat. We also saw frigate birds, pelicans and other birds. We were told there are also blue footed boobies, but we didn't see any. The cherry on the cake was a small humpback whale that was feeding near our boat. 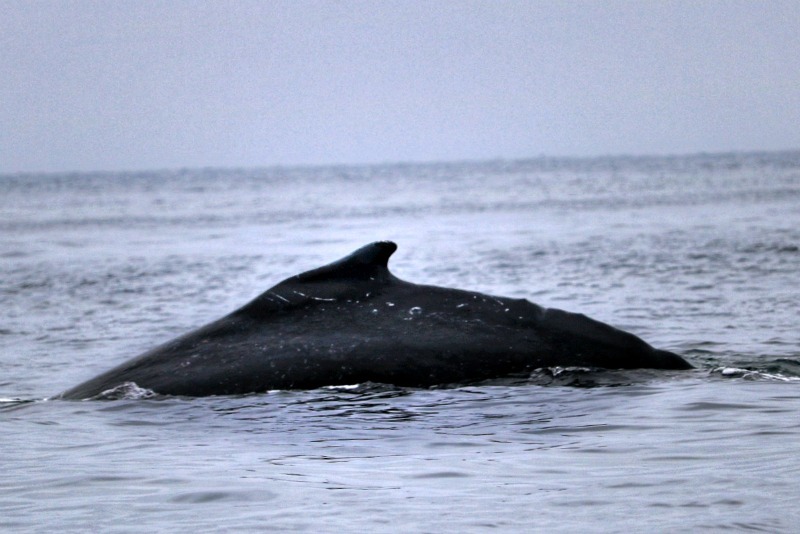 It was the very beginning of the migration season, so we really didn't expect to see any whales. It was really cool! Tours to Isla Salango take only a few hours. You can set up a tour in Salango or Puerto Lopez. We went in a small boat that took us all the way around the island. The beach in Salango was rockier than others we have visited. My brother and sister-in-law swam on the southern end of the cove and said they got thrown around by the waves from two different directions. At low tide the rocky south end reveals small little lagoons (some are just puddles) in between the rocks. The beach was quite clean, but there was one sad detail. We saw lots of puffer fish strewn on the beach, apparently tossed aside by the fishermen. The Salango area was home to several ancient civilizations including the Valdivia and Machalilla. There is a small museum documenting different excavations and displaying a variety of jewelry, pottery and Spondylus shells. The museum is cute, but the entrance fee was pretty high compared to other museums we've visited. Unless you have a real fascination with the ancient cultures of the area, I would probably suggest you skip it. Salango isn't very tourism oriented, but there are a few options in town. We read some great reviews about the Pelicano restaurant and were convinced it was worth a try. For some reason it was closed both of the two days we were there. So that was disappointing. Just a block toward the beach from the Pelicano was a small family run restaurant where we had some good food (sorry, I can't remember the name of the place). The owners were super nice and very accommodating. We actually did our Isla Salango tour with Marlon. He was very helpful and arranged the tour within minutes. The Delfin Magico is another recommended restaurant. For additional options, check out Puerto Lopez. We ended up staying at some cabins that were once a hotel. Now listed on Airbnb, it was an amazing place with an even more amazing view. 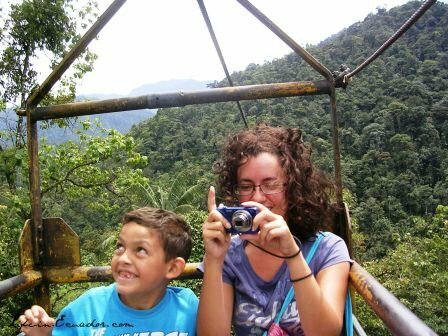 It's located just outside of Salango Ecuador on top of the hill on the south side of town. Its handy to have a car to get up to the place. We took advantage of the communal kitchen to cook our own meals. We looked for some basic food items in town, but didn't find much. So we ended up going to Puerto Lopez to do our shopping. Salango Ecuador is a great place on the Pacific coast, especially if you like something more low key and quiet.